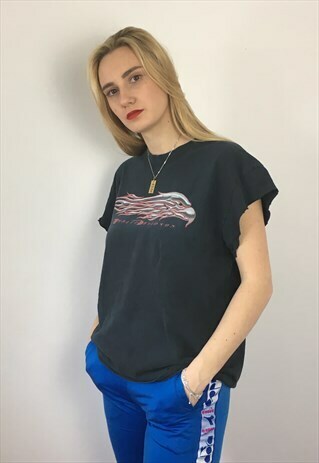 Vintage Harley-Davidson 90s T-Shirt. Unisex size large. The model usually wears a UK size 10 and is 5ft10 (178cm) tall. FREE UK POSTAGE on any additional purchases from our boutique so have a look! Follow our instagram LAZEYVINTAGE for 10% discount & to see fresh stock. Tag us in pics to be featured.